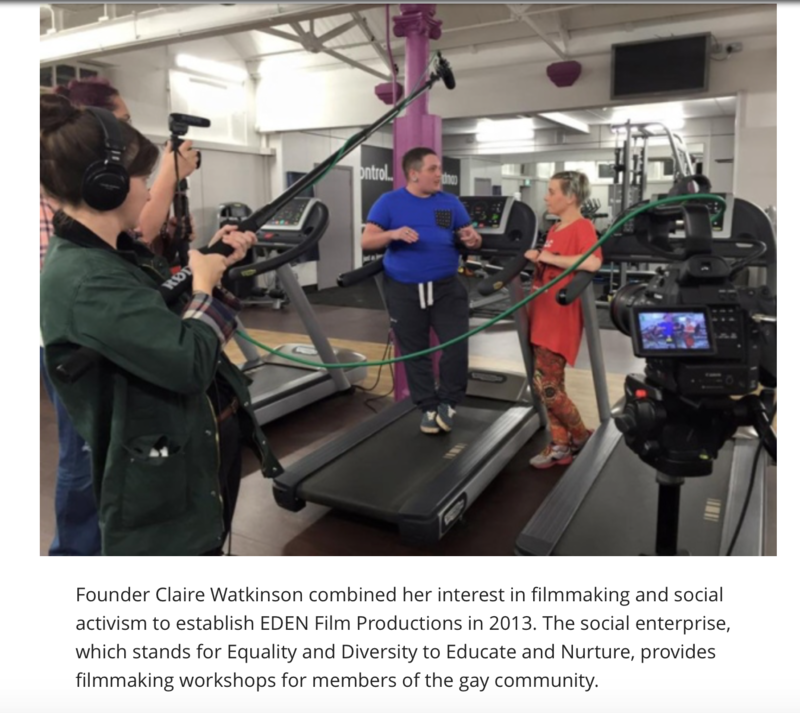 Premiere screening at Worksop’s Savoy Cinema of the two LGBT History films made on E.D.E.N Film Production’s, Something About Us Project. 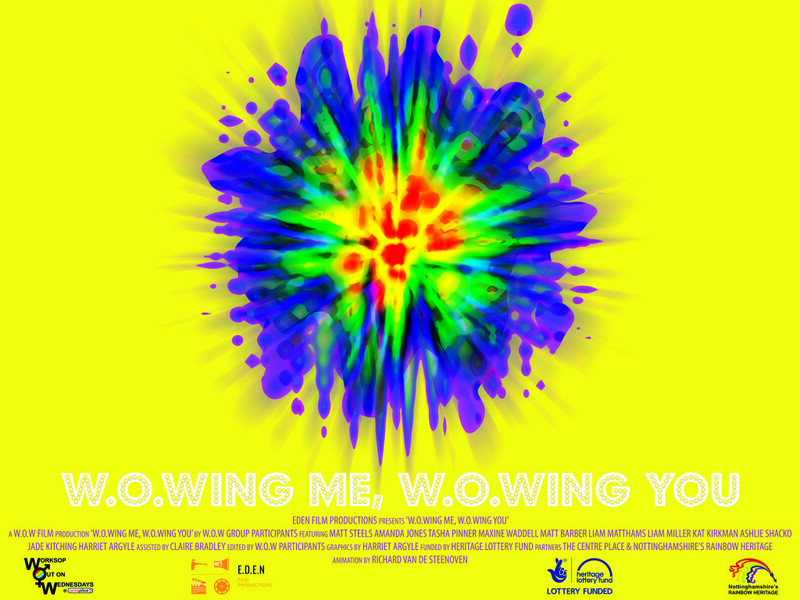 The two films made by the W.O.W group during the Something About Us project are screening at the Savoy Cinema in Worksop for end of project celebration and as part of LGBT History Month on the 3rd of February 2016. The event will start at 6pm with the two films screening from 6.30pm. There will be a Q&A with members of W.O.W about their experiences on the project and making the film. David Edgely from Nottinghamshire Rainbow Heritage will also be providing a historical presentation. 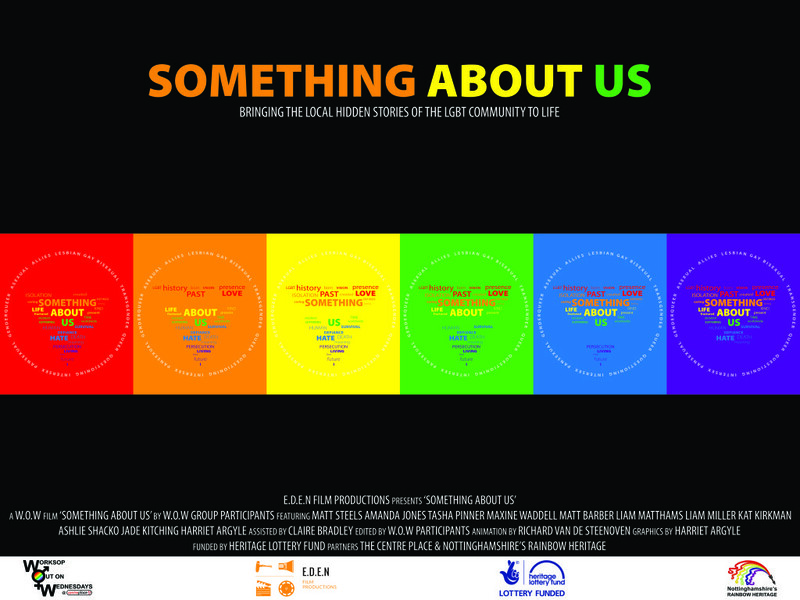 Something About Us is a project, funded by The Heritage Lottery Fund that has involved working with young people from the Lesbian, Gay, Bisexual and Transgender group W.O.W in Worksop. 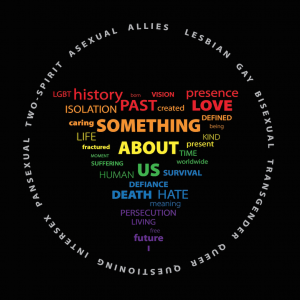 The project aimed to research and record what it was like historically to be LGBT. The group worked together to compare the past and the present-day, with a focus on the local area. 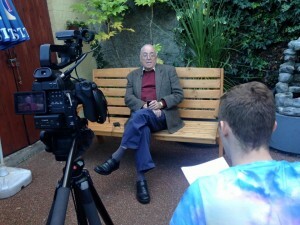 The project provided training in archive research, oral history and filmmaking techniques. 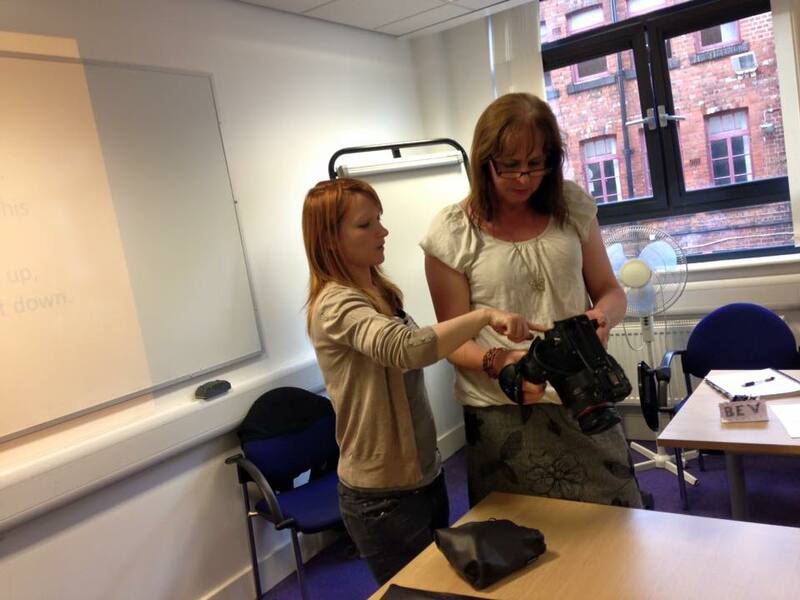 Learning these skills gave the young LGBT people a voice; the ability to share the history they found, aiding local understanding of the LGBT community. The young people have produced a documentary film Something About Us using their oral history interviews and archive research findings, while recording their own on-going reflections of the research process on GoPro cameras and producing a separate reflective film W.O.Wing me, W.O.Wing you. 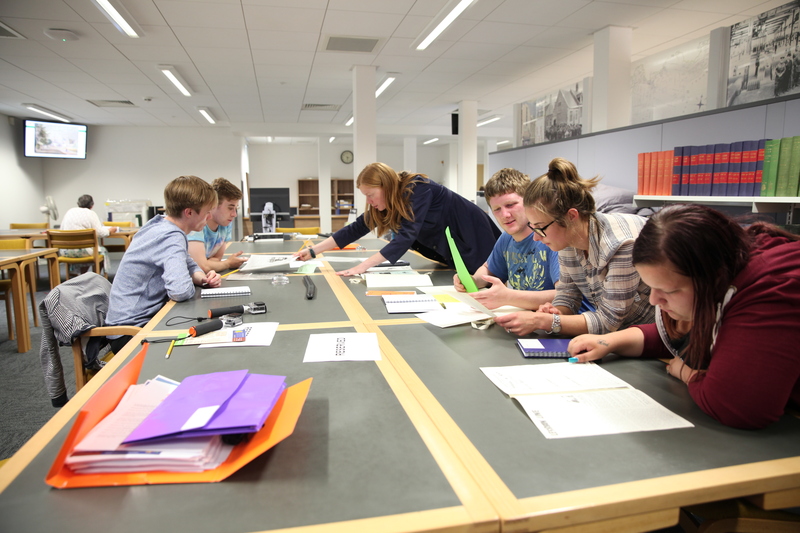 The young people have been on several trips including Nottinghamshire Pride, Nottinghamshire Archives, Sheffield Archives and Sheffield Local Studies. Documenting their journey as they learnt about their history. 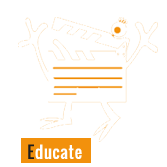 The films are also screening at several other locations as part of LGBT History Month, which includes, 12th of February at Sheffield Hallam University from 6pm. The 19th of February at Nottingham Archives at 2.30pm-4.30pm and the 23rd of February at Nottinghamshire’s Rainbow Heritage Awards 7-9pm. Check out the short animation film we produced for Disability Sheffield earlier this year on Personal Health Budgets. 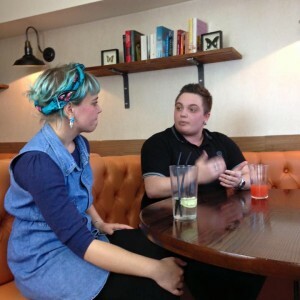 Check out the outtakes for Trashing Transphobia! It was a evening we had been working towards for months and it turned into a night we will remember for years. 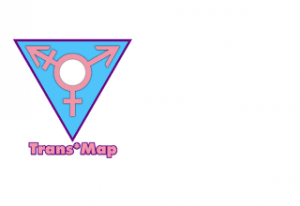 The 20th of November is Transgender Day of Remembrance, a day commemorating the transgender people who have lost their lives to transphobia and hate crime around the world. This year on Transgender Day of Remembrance many woke up to the shocking news that transgender woman Vicky Thompson had died in a male hospital in Leeds. Her passing took the transgender death toll of 2015 to a sickening 271 and it was with heavy hearts that we attended the Transgender Day of Remembrance ceremony in Sheffield Winter Gardens. Nell Stockton of LGBT Sheffield led the event which featured a hard hitting poem by Sarah Thomasin, moving speeched by Tracey Howard and Debs Aliya Lindley, especially composed music by Madge Wollard and Jo Whateley, a minute of noise and a candlelit vigil. 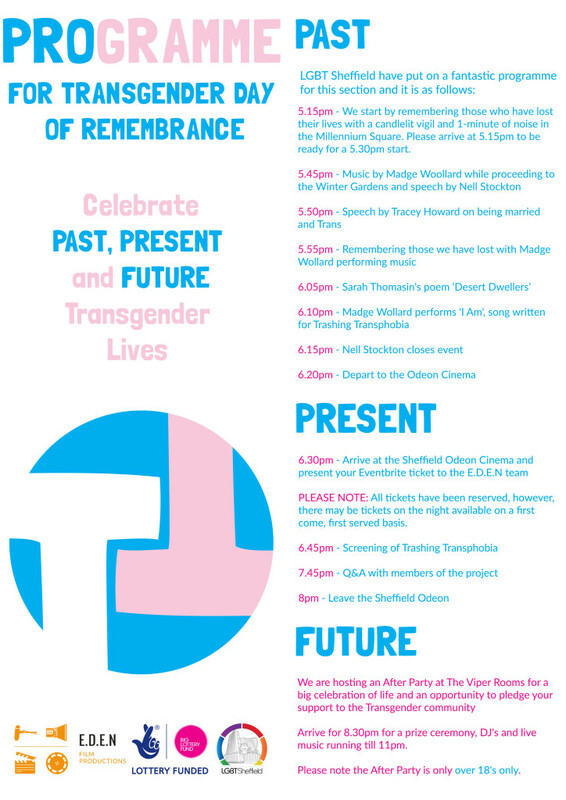 Earlier that day The University of Sheffield Student Union’s LGBT society had organised events on the topics of transgender lives, including an I’ll Go With You workshop by Zac Snape, and many of those attending the ceremony that evening were students, a generation of young voices mourning those lost too soon. 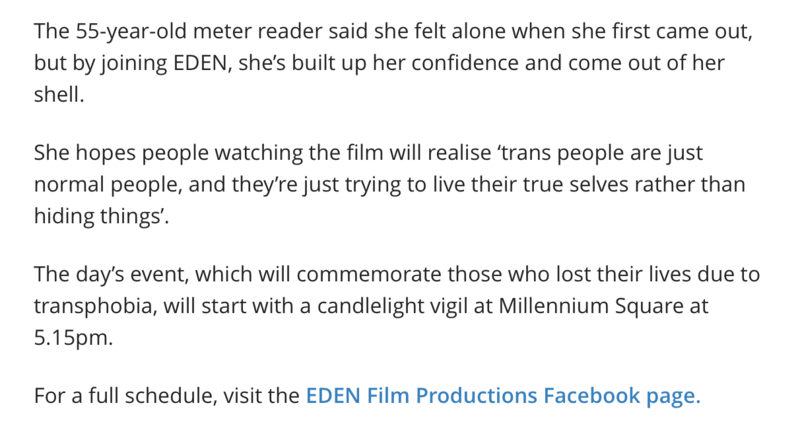 But it wasn’t just young people who had come along; people of all walks of life gathered to light a candle, listen and reflect on the very real, harsh realities faced by those who are transgender. 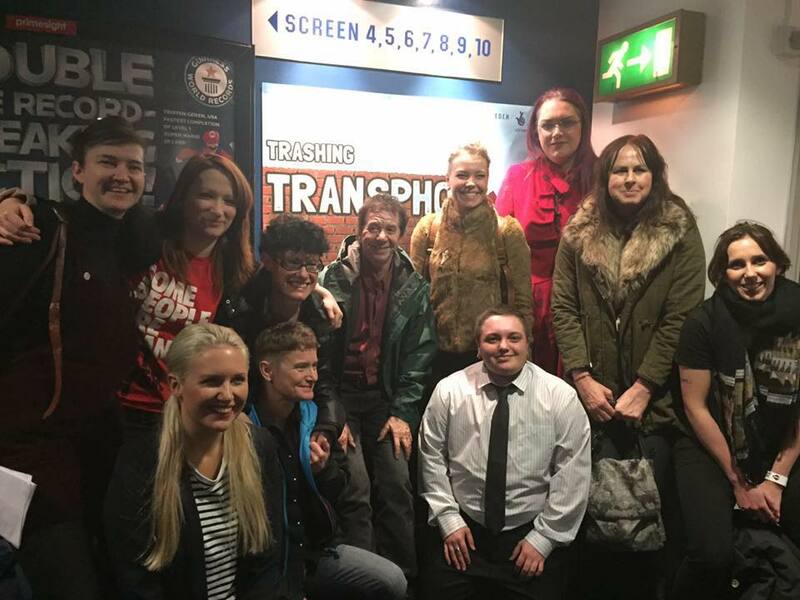 After the ceremony, which left no one untouched, many of us headed down to the Odeon cinema for the premiere screening of Trashing Transphobia, the documentary that one of our film groups had been working on this autumn. 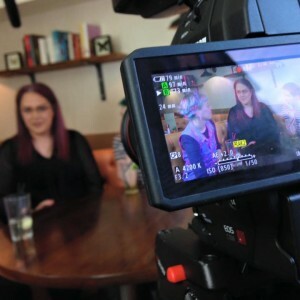 The film, which had taken 15 learners, two mentors, 13 weeks and endless hours of learning, filming and editing to produce, sees Laura Holt go on a journey to discover what the transgender community goes through and why. Meeting with different trans men, trans women, support workers, activists, researchers, allies and families she uncovers some of the transphobia prevalent in society today and she comes to the conclusion that we need to open our hearts and listen to those who are transgender. “That is how we trash transphobia,” she says. Making the documentary was at times a tough, time consuming and often very emotional job but it was also fun, eye-opening and immensely rewarding and still it only felt like we scratched the surface of the topic. There were many more stories that needed telling than the film would allow for but the end result is one to be proud of. And the demand to see it was big. 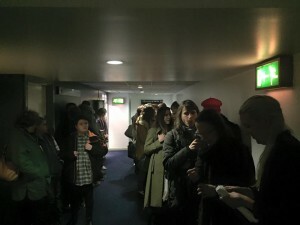 When we released the tickets for the premiere screening at the Odeon in Sheffield we didn’t know what the interest might be like but we were overwhelmed to find that all tickets were reserved with weeks left until the screening. On the night we had a long queue of people hoping for spare seats and we ended up with a packed out cinema. Not a seat was free and not an eye was dry once the film had finished playing. Once the applause had faded many of us headed up to the Viper Rooms, a city centre bar that we had hired out for the evening together with LGBT Sheffield and The University of Sheffield. 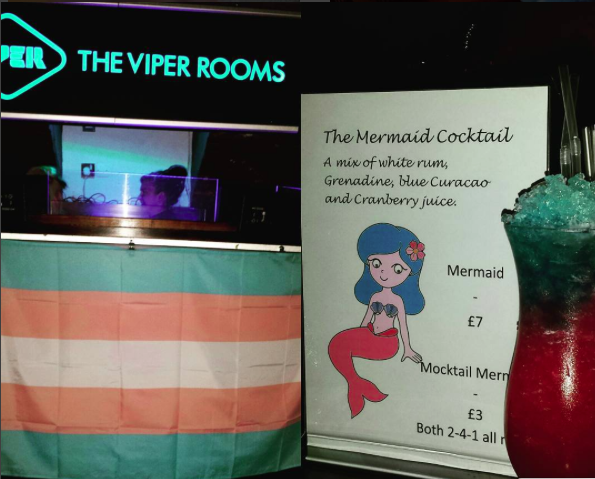 The Viper Rooms had kindly created Mermaid cocktails especially for us, a lovely touch considering we had been fundraising for Mermaids, a charity helping transgender children and their families, whose Chairperson we interviewed in Trashing Transphobia. 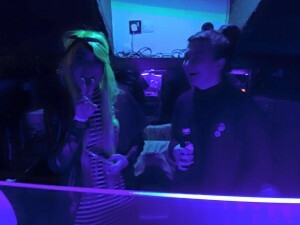 DJ Lola, Fruits and Heather spun tracks and Nell announced the different activities that we had organised together with her and the Sheffield University LGBT society’s Gemma. We had people writing down examples of transphobia and trashing it in a trash can, we had people making wishes for a better future with local drag queen Tia-Anna pinning them to a board of wishes and all in all we had a club full of people enjoying themselves whilst feeling safe. The atmosphere was truly inclusive and it was great to see everyone relaxing after what had been a long project and a tough day. It was a party and we wanted to celebrate the film premiere but for us it was also important that we continued to remember the purpose of the event and that we look to the future to ensure we make it a positive one for transgender people around the world. As we went to leave for the final party of the night, this one at the newly opened OMG nightclub, one of the transgender participants told me they hadn’t been out in town for years, for fears of feeling unsafe. Tonight was a milestone in their life; a time when they could be out and about on a Friday night, enjoying themselves. It was great to hear but at the same it was heartbreaking. This is the way it should always be; anyone and everyone should feel safe to go outside, meet people and enjoy themselves. Whenever, wherever and whoever they are. 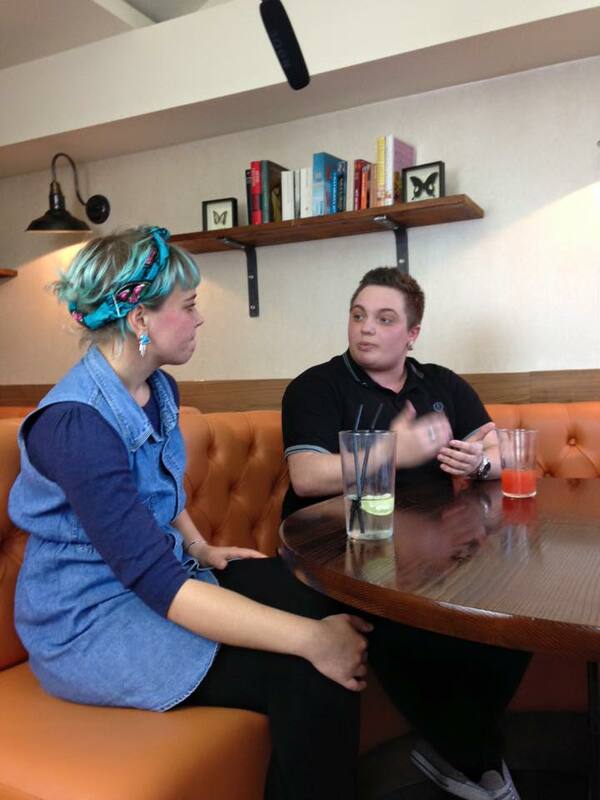 We are lucky to live in Sheffield where acceptance of transgender people is growing. 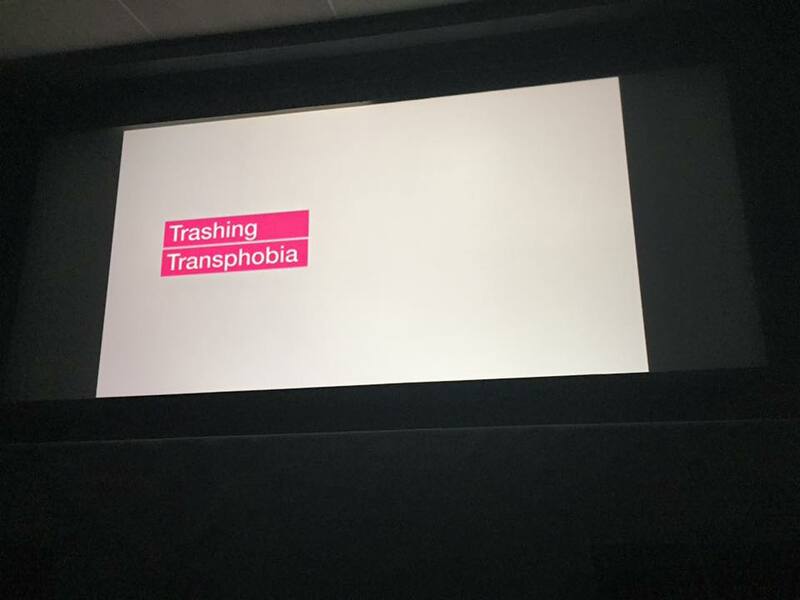 We are lucky to have passionate people like Nell Stockton, Gemma Halliwell, Claire Watkinson and the fantastic group of people who made the Trashing Transphobia film. 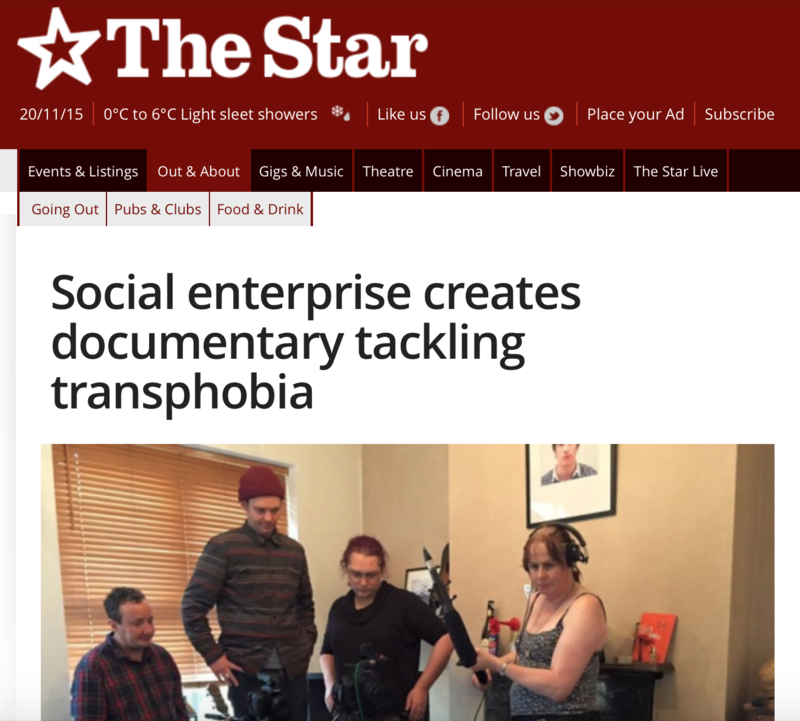 Not to mention all the business owners who let us film on their premises and who welcomed us host our events at theirs – or the volunteers helping make our films happen, or the 110+ people who wanted to come and see the premiere of Trashing Transphobia. It is good to see that among all the darkness of rising hate crime statistic and death rates there are flickers of light and of positivity. 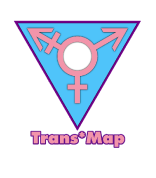 The Sheffield Trans* Map is a great initiative and a wonderful example of this. 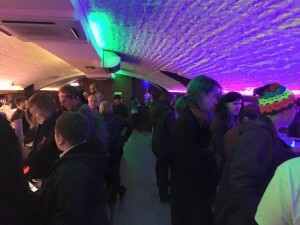 It asks businesses and establishments to guarantee a safe experience for anyone visiting their premises, regardless of gender and so far it has been a great success with many signing up. (You can view it here.) We can only hope that the map will expand and that more pubs, bars, shops, restaurants, cafes and service providers will sign up. Because if there is one thing that stands out from this event then it is that genuine collaboration, reaching out hands to help and not to grab, talking with one-another and being vocal about our support to those that most need it; those are the thing that create progress and positive change. Transgender Day of Remembrance was in many ways a sad and dark day but it was also a turning point and a wake-up call for many; Together we can Trash Transphobia. And that we must always remember. 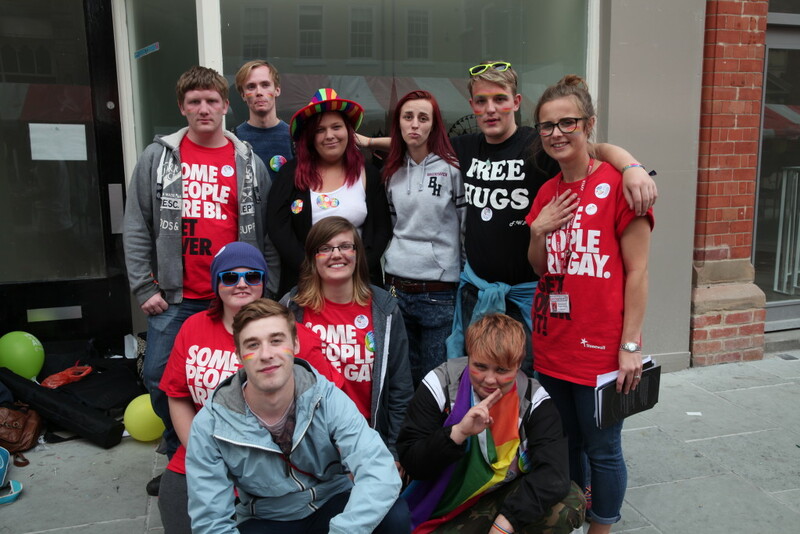 The Sheffield Star published an article about the project, Trashing Transphobia. Speaking with Diane Howard, a participant of the project and Claire Watkinson our Managing Director. Today is Transgender Day of Remembrance. To remember the lives that have been tragically lost. 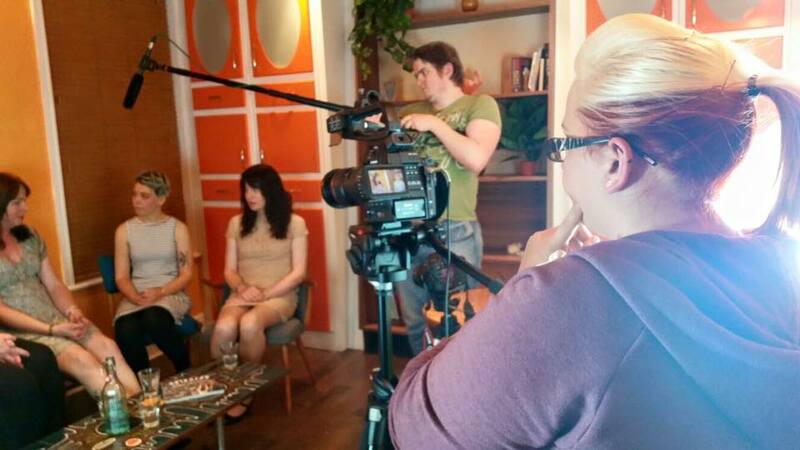 To mark this day we have been running a filmmaking course since August with the LGBT community to produce a film that tackles the discrimination the transgender community often face. 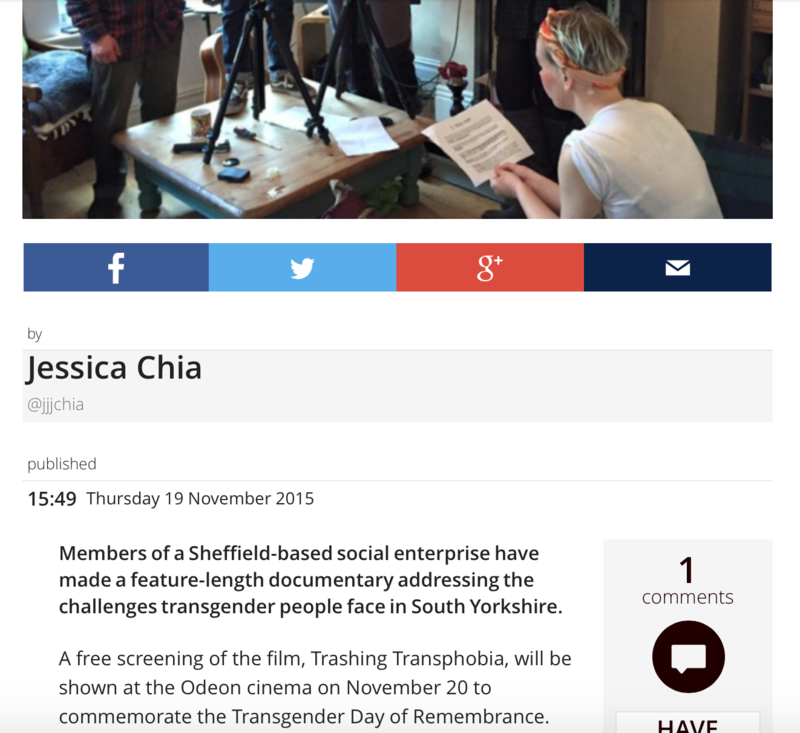 The film titled, Trashing Transphobia, is screening tonight at the Sheffield Odeon from 7pm. We’ve made a short film to take you behind the scenes of the project. The participants all worked so hard and we have thoroughly enjoyed running the project. We are excited to share with you the film poster for Trashing Transphobia, designed by Harriet Argyle. 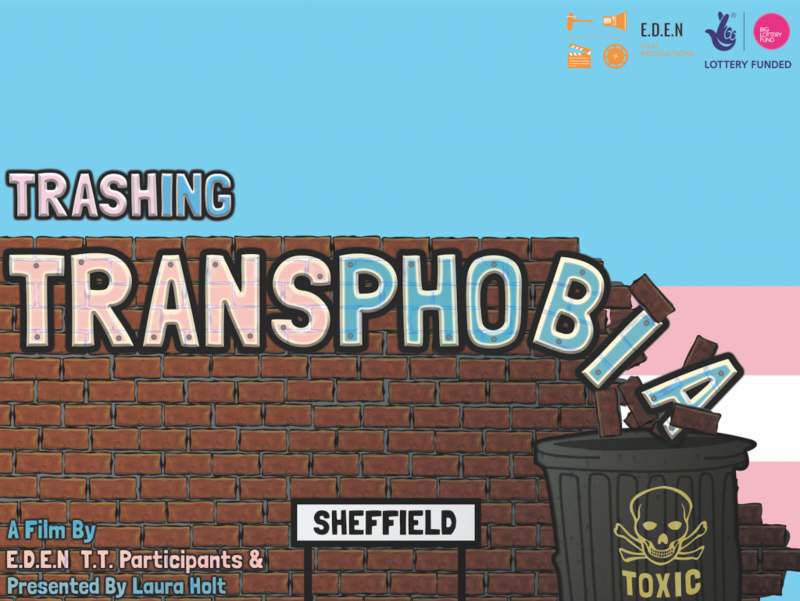 Trashing Transphobia has been created by the participants involved with the Trashing Transphobia project funded by The Big Lottery Fund. 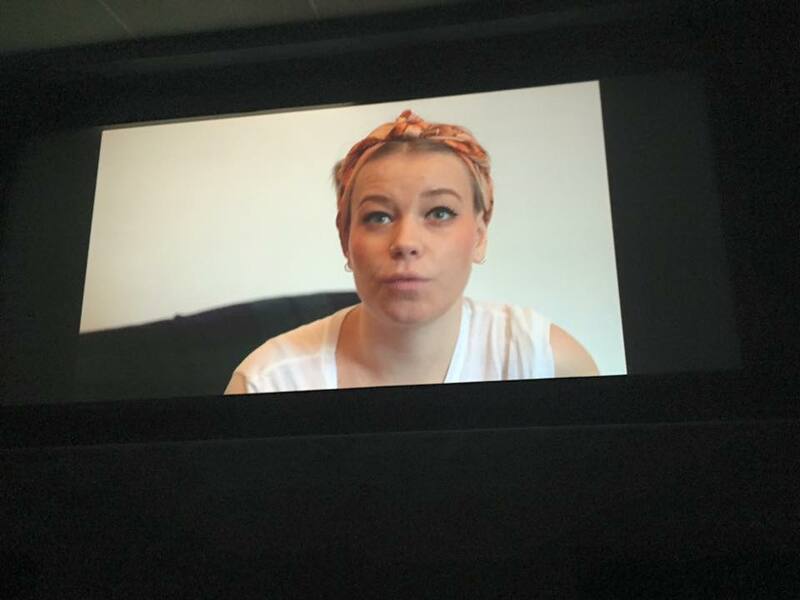 The participants on the project have been involved with all aspects of the film, learning filmmaking skills, filming several interviews and lots of editing. They have learned how to use a Canon C100, Canon 5D and GoPro cameras, radio microphones, how to operate a boom pole and using Final Cut X. The film premieres next week at the Sheffield Odeon on Transgender Day of Remembrance, 20th November. Transgender Day of Remembrance is a day to remember, reflect and look to the future. Around the world all too many transgender people lose their lives to transphobic hatecrime; people die because others can’t accept their true gender and it is up to us to ensure this comes to an end. Join us as we look to the past, the present and the future as we celebrate Transgender Day of Remembrance in Sheffield on the 20th of November 2015. We start by remembering those who have lost their lives with a candlelit vigil in Millennium Square from 5.30pm. After this we processed into the Winter Gardens for live music, speeches and the warmth of being together, of being alive. We are proud to say that LGBT Sheffield have put on a fantastic programme for this section of the evening; the perfect start to an unforgiveable evening. 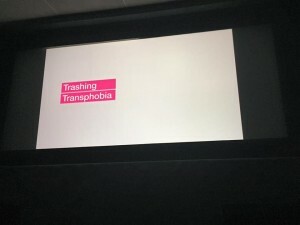 At 6.30pm we invite you to join us at the Sheffield Odeon for the premiere screening of our film Trashing Transphobia, a film made by E.D.E.N Film and the Sheffield LGBT community. 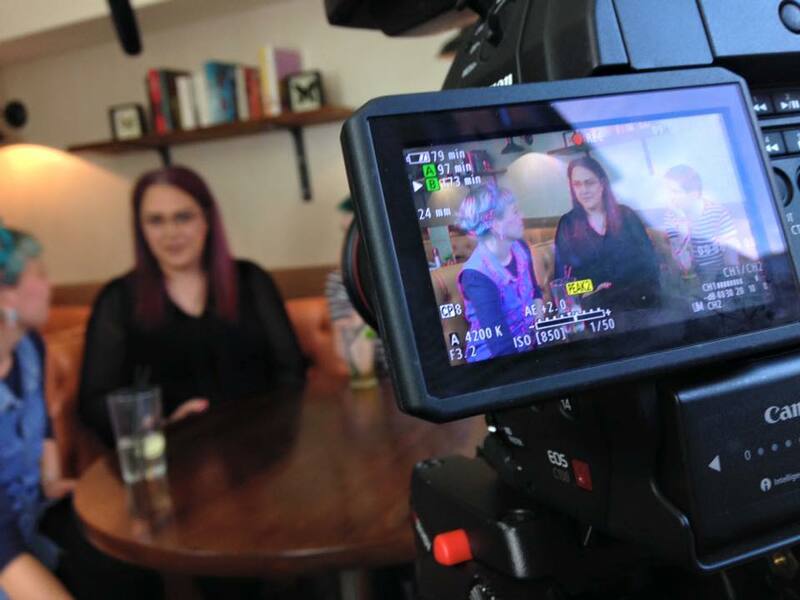 Looking at transphobia and how to tackle it, we go on a journey to discover what it’s really like to be trans in Britain in 2015. Having spent time mourning those who have passed and considering the issues of the present we move into the future to the after party. (VENUE TBC). Here we come together for a big celebration of life with DJs, live music, performances, prize ceremonies and an opportunity to pledge your support to the transgender community, this will be a night to remember. 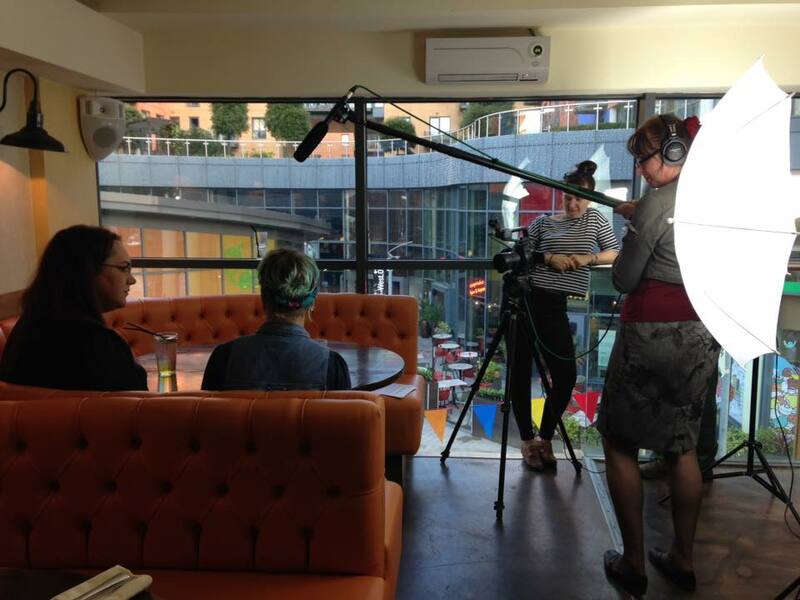 We filmed at a the Hate Crime event run by the Equality Hub Network. 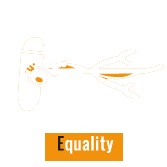 The Restorative Justice Council promotes quality restorative practice for everyone. 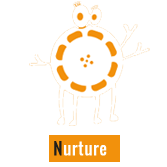 An independent charity, it is the membership body for the field of restorative practice. Find out more here: www.restorativejustice.org.uk. We are happy to announce an exciting project, Something About Us, funded by The Heritage Lottery Fund (HLF) and based in Worksop. 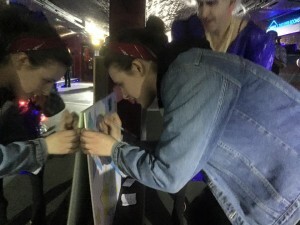 Working with young people from the lesbian, gay, bisexual and transgender group W.O.W in Worksop, the project aims to research and record what it was like historically to be LBGT in the past compared to the present-day, with a focus on the local area. 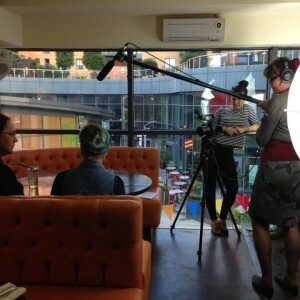 The project is providing training in archive research skills, oral history techniques and filmmaking skills, providing an opportunity for these LGBT young people to have a voice and to share the history they have found with their wider community to aid a more beneficial understanding of the LGBT community locally. 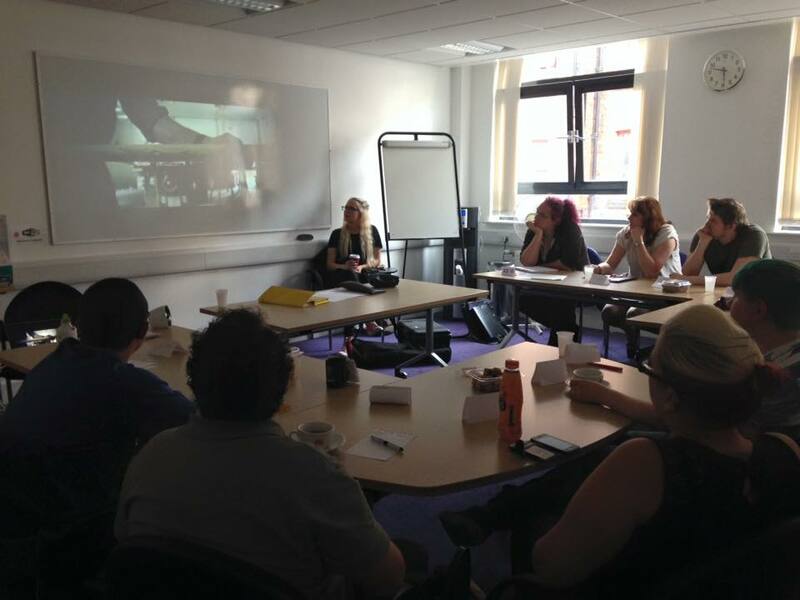 The young people are producing a documentary film using their oral history interviews and archive research findings while recording their own on-going reflections of the research process on GoPro cameras to produce a separate reflective film. 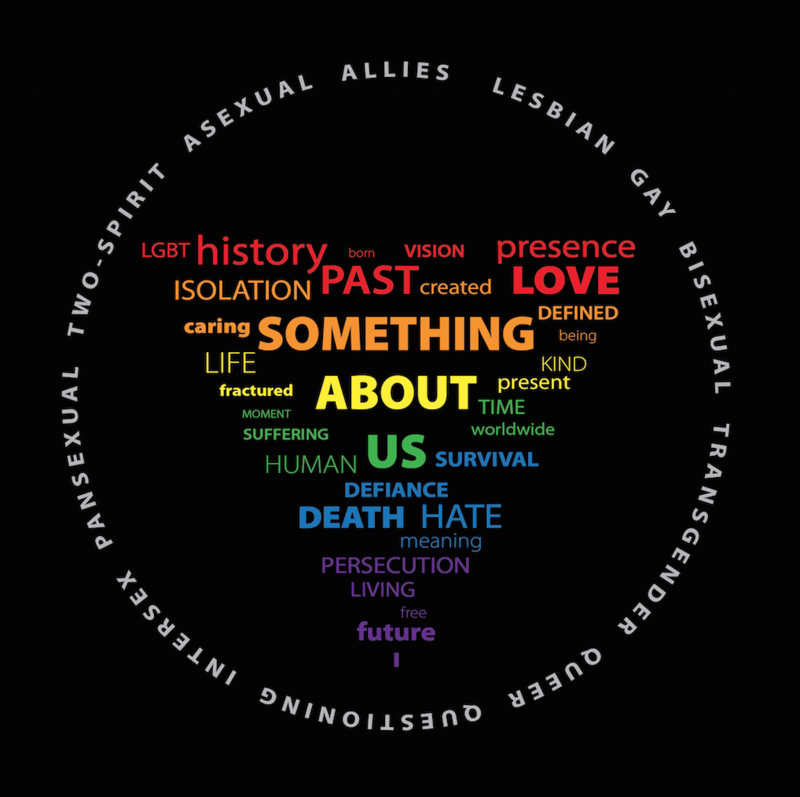 Bringing the local hidden stories of the LGBT community to life will make the archive material more accessible in general and in a digital format that other young people in a similar situation can relate to and benefit from. 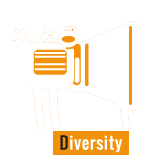 This project will give the LGBT W.O.W members a voice in their own town and community while helping them as individuals on their own personal journeys as they learn about the experiences of other LGBT people in the past. We will be working with our partners Nottinghamshire Rainbow Heritage, an organisation that celebrates Nottinghamshire’s LGBT lives, hidden history and culture. NRH organise events: exhibitions; displays; workshops and training, gather artifacts memorabilia and audio and video recordings of LGBT people’s experiences and opinions.